1. NYX Eyeshadow Base in White. 2. Stageline Sphere Eyeshadow #41 applied on the lid. - Perception e/s applied on the crease + lower lash line. 4. Lime Crime Pink Velvetine used for the wing liner. 5. Apply Inglot AMC Eyeliner Gel -72 on the waterline. Please do use liquid lipstick on your eyes at your own discretion. Other brands have said their liquid lipsticks are safe for eye use Jeffree Star & Kat Von D, I believe but the one place I wouldn't ever put it, is on the waterline. You're welcome. No they don't with certain products you really do have to be careful and probably not make it an everyday thing to be on the safe side. 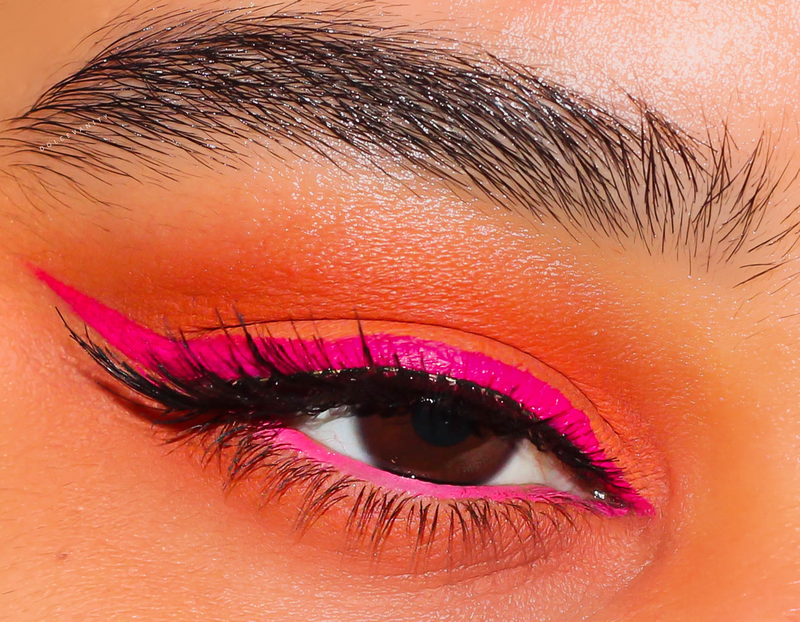 Wow that is such a stunning look - so bright and summery, I love it! You're like an eye artist!